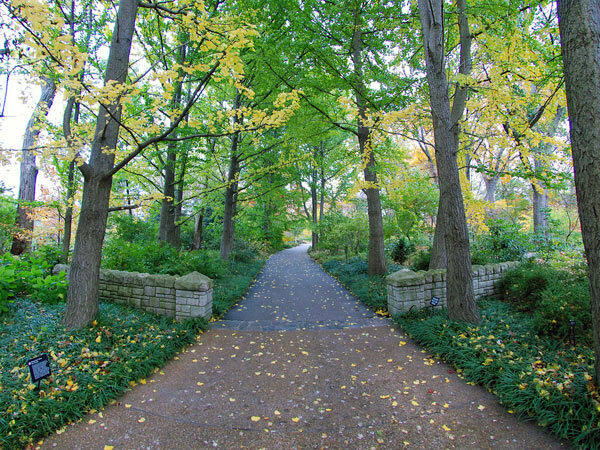 This 79-acre research institution and public garden was established in 1859 by English gentleman Henry Shaw. 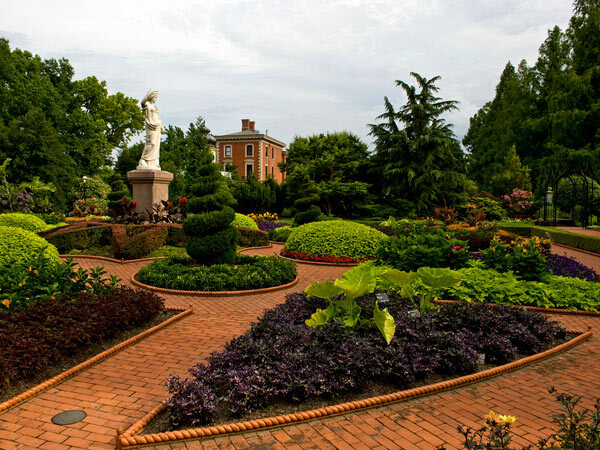 The ornamental and instructive plantings, largely Victorian in character, were originally laid out by Shaw based on a tripartite organization of arboretum, fruticetum, and flower gardens. 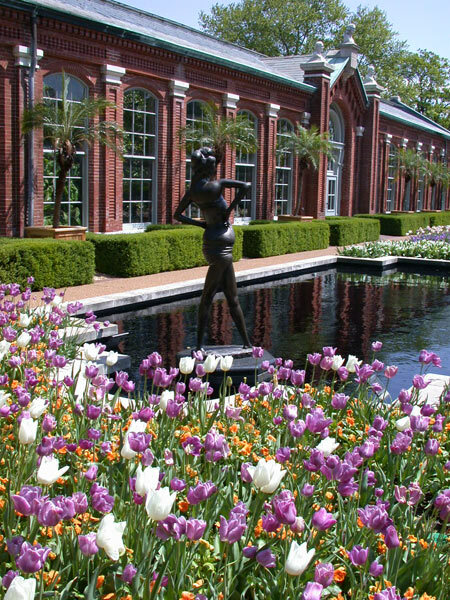 Large conservatories and numerous pavilions, including the Linnaean house (the oldest remaining display house in the U.S.), flanked the axis that linked the garden grounds with Shaw’s personal estate, Tower Grove. 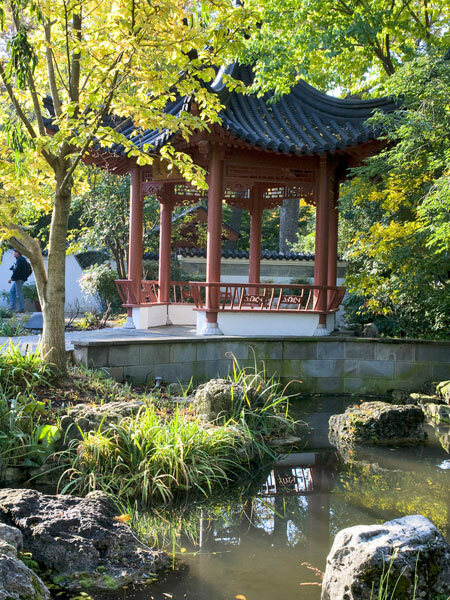 After Shaw’s death in 1889, the grounds were rearranged to reflect a more naturalistic style. Frederick Law Olmsted, Jr. and John Charles Olmsted submitted a master plan in 1896, some of which was implemented but is no longer extant. In 1913, John Noyes was hired as an instructor at the Shaw School of Botany. 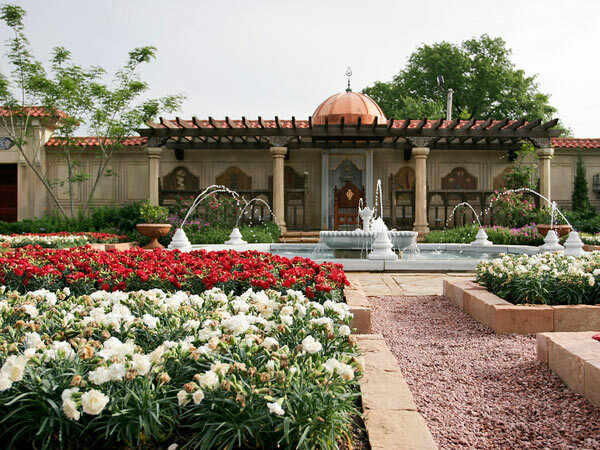 He oversaw the addition of the Palm, Desert, Mediterranean, and Floral Display Houses, the Italian and Perennial Gardens, the Knolls, and a number of other features. 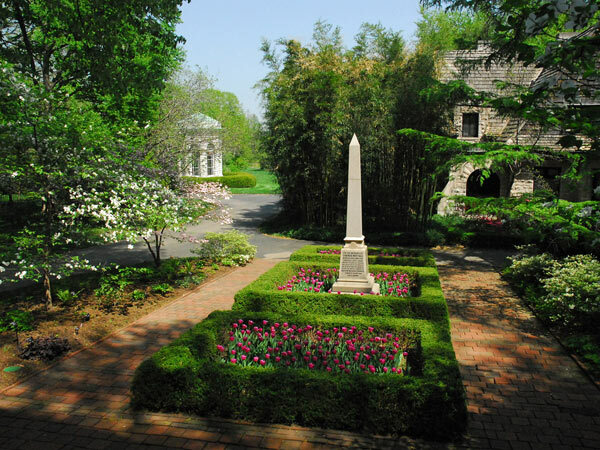 Noyes also created St. Louis’s first rose garden, with rare specimens garnered from the Arnold Arboretum. Layton, Layton, and Rohrbach developed a master plan in 1960, re-establishing the original north-south axis. 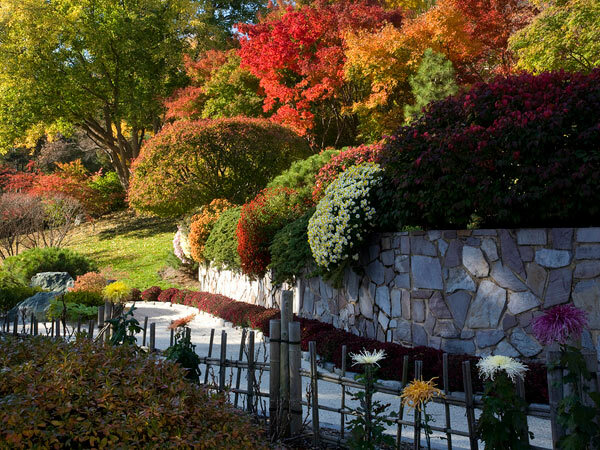 Other notable features are the Climatron Conservatory (1960), a geodesic dome based on the principles of R. Buckminster Fuller, and the 14-acre Japanese Garden, Seiwa-En, designed by Koichi Kawana in 1977. Between 1971 and 2009 Director Peter Raven continued Shaw’s mandate of research, display, and education. 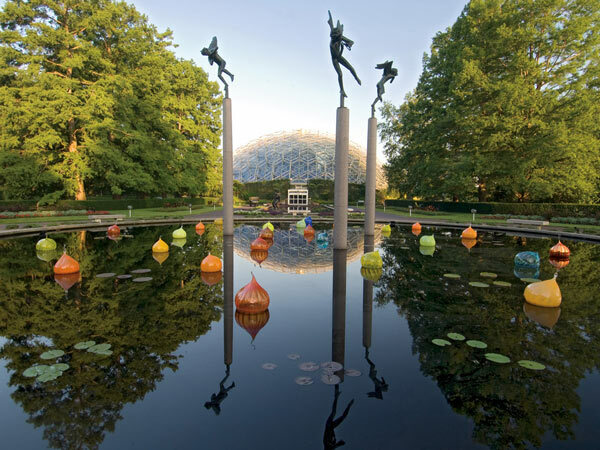 The Missouri Botanical Garden was named a National Historic Landmark in 1971.